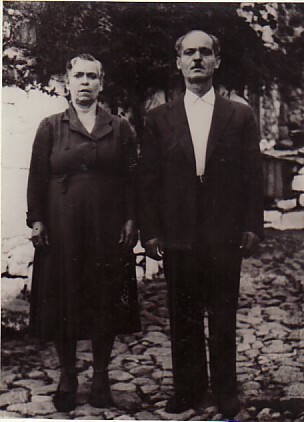 Above: With her husband, Fotios. 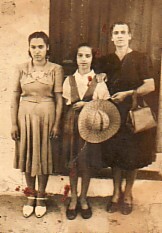 Above Right: With her daughters, Elpida and Mersina "Mersa". 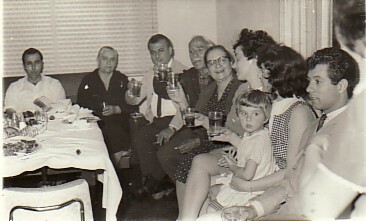 Above: At a family party; Marianthi is second from the left, while her son-in-law, Apostolos, and her daughter, Mersa are third and sixth from left respectively. 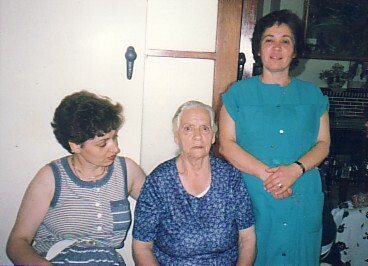 Above Right: With her daughters, Mersa (left) and Elpida (right).